Beryl, the stage writing debut of actor Maxine Peake, celebrates a Yorkshire woman’s cycle through life. It played to full houses at the West Yorkshire Playhouse in Leeds last year and is now touring to venues throughout the UK. It comes to the Stephen Joseph Theatre, Scarborough from October 28. Rebecca Gatward directs this play about the loves, trials and tribulations of the down-to-earth Yorkshire sporting heroine with Samantha Power in the title role of cycling champion Beryl Burton. The cast also features Rebecca Ryan (Shameless and Hull Truck’s production of A Taste of Honey), Lee Toomes (The Syndicate, Shameless) and Matthew Ganley (Emmerdale, Once – Phoenix Theatre). 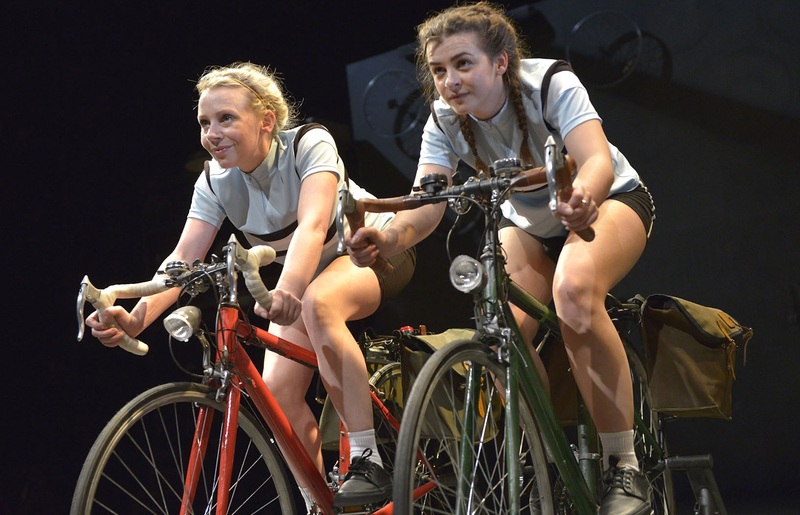 Originally written for Radio 4 in 2012 and adapted for staging at the Playhouse, the play looks back at the extraordinary sporting achievements of the Leeds-born cyclist. It was 1954 when Beryl Charnock met keen cyclist Charlie Burton. In those days they cycled in clubs and once Beryl started she was smitten, not only with Charlie but by the thrill and freedom found on two wheels. Beryl was better than good, she was the best and determined to stay that way. Five times world pursuit champion, 13 times national champion, twice road-racing world champion and 12 times nation champion, she was one of the most astonishing sports people ever to have lived whose down-to-earth, no-nonsense approach to life and to success was inspirational. Beryl’s daughter Denise Burton-Cole welcomes the revival of the play. “We are thrilled as it’s an outstanding play and it’s great that more people will see it,” she says. Maxine Peake has a career that spans stage, television and film, garnering critical acclaim in roles as diverse as Dinnerladies’ Twinkle and Silk’s Martha Costello QC.